Betsy's Kimono and Obi pattern is very easy to sew up! 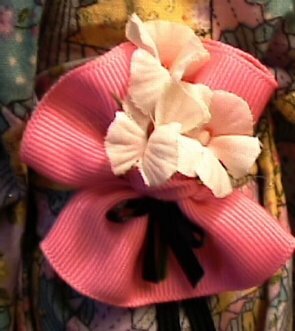 Makes a wonderful kimono and obi for the Robert Tonner Betsy McCall doll. Step by step directions make it simple to sew up this rather intimidating garment. Make several for your Betsy and friends!. Use the metallic cottons, or the wonderful silks available now. Betsy doesn't use much material so you can splurge. Have fun with this easy to sew Kimono! More pictures of Kimono for Betsy. Pattern emailed after payment with paypal.